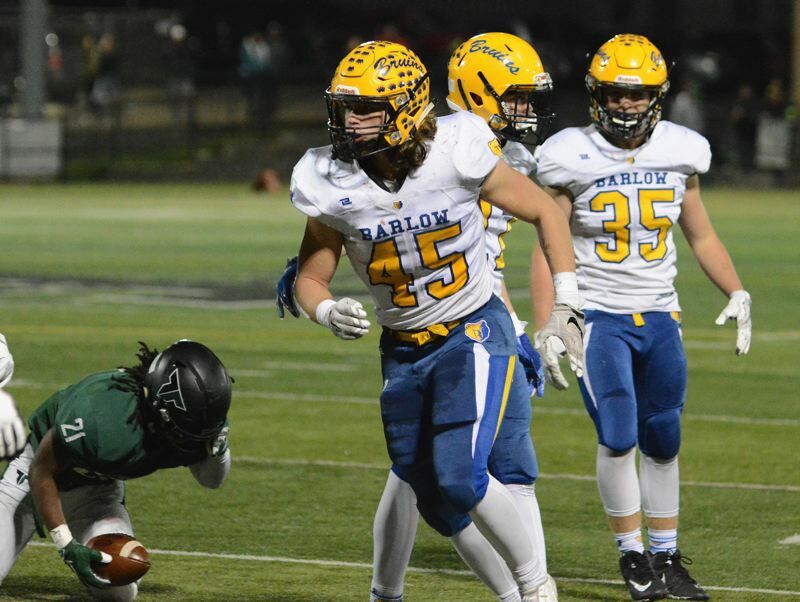 TIGARD — Turnovers on each side of halftime proved costly in Barlow's 45-20 loss to Tigard in the second round of the 6A football playoffs last Friday. 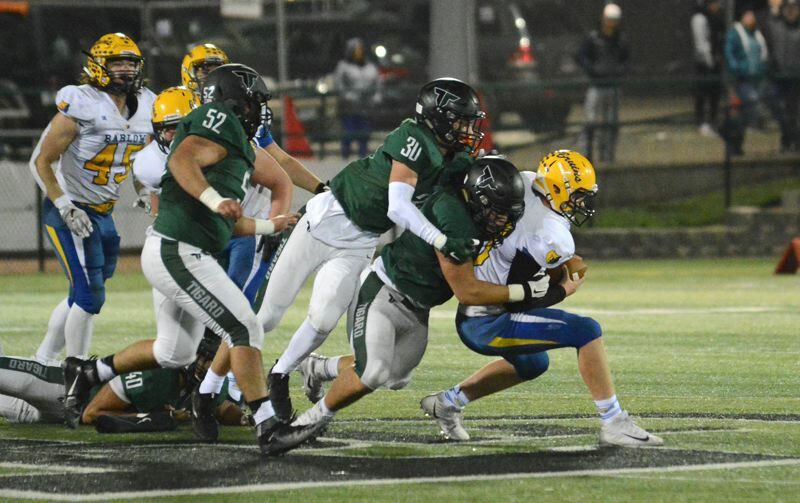 The Bruins were driving for the go-ahead points late in the first half when Tigard defensive end Noah Jackman put the brakes on his rush, tipped a pass in the backfield and came down with the interception. Two plays later, Tigard QB Drew Carter found Luke Ness for a catch over the middle. He picked up a block from teammate Jazz Ross that left two Bruins spilled on the turf and opened the right side for Ness to complete a 53-yard touchdown catch. Barlow fumbled the second-half kickoff, and Tigard's Hewitt Sullivan recovered at the 18-yard line. Malcolm Stockdale went in from 8 yards out, one of his five touchdown runs on the night, to put the Tigers in charge 31-14. Barlow would get a 9-yard touchdown pass from Jaren Hunter to tight end Dominic Jacoby, but Tigard matched the points in one play when Stockdale broke loose on a 65-yard touchdown run. The No. 5-ranked Tigers advance to play at Metro League champ Jesuit in the quarterfinals at 7 p.m. Friday. View photos from the game at davidball.smugmug.com. Look for expanded coverage ahead in our Tuesday, Nov. 13, edition of The Outlook, and our Thursday, Nov. 15, edition of the Tigard-Tualatin Times.